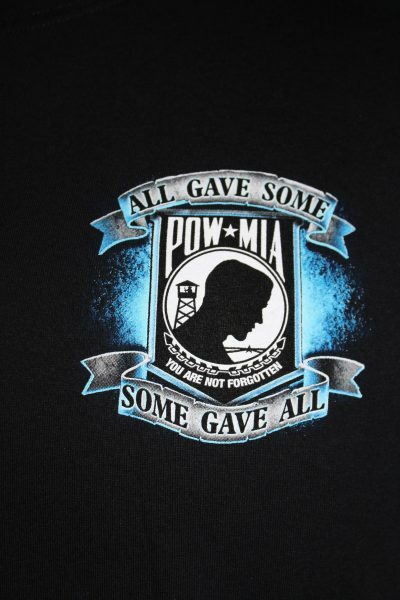 The POW MIA T-shirt is a two sided print black. 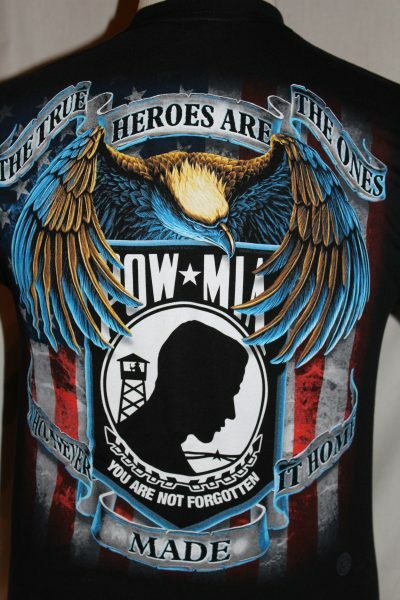 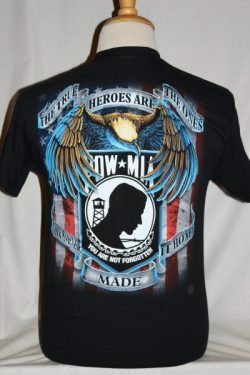 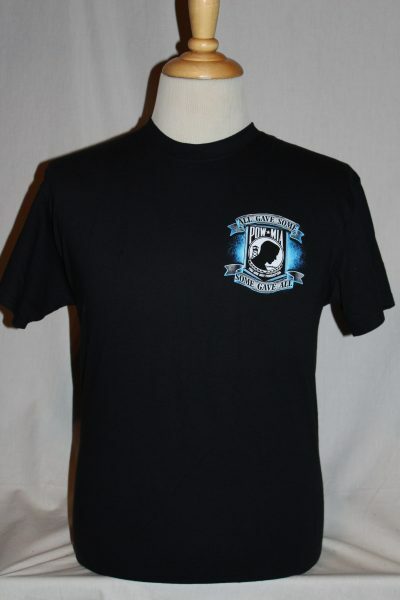 Front Design: POW MIA symbol on left chest trimmed in blue. 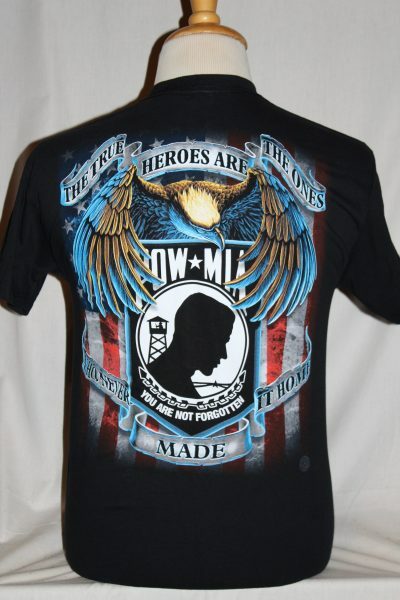 Back Design: Large POW MIA symbol with gold and blue wings, eagle, and text.